Inaugural Capital One® Digital For Good™ Summit brought together top charity leaders and digital experts, working to close the digital divide. Shiza Shahid, founder of mission-driven funding platform NOW Ventures and co-founder of the Malala Fund, delivering the keynote address to kick off the summit. TORONTO, ON - When charities cannot keep up in today’s tech-driven society, every Canadian loses. The shocking reality is that: one of every two charities in Canada (50 per cent) actually say they aren’t able to keep up with today’s tech-driven society. Moreover, 66 per cent of Canadian charities believe their social missions are being held back, or are at risk as a result. The digital divide often faced by charities and not-for-profit organizations was discovered through research conducted by Capital One Canada. In fact, a large majority (74 per cent) of Canadian charities believe a growing technology gap threatens the long-term success of the organizations. 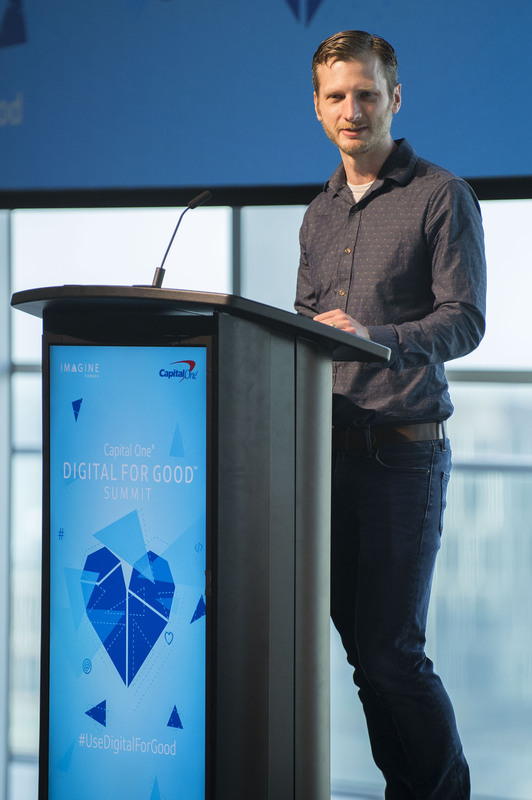 Addressing the need for charities to bridge the digital gap, Capital One Canada hosted its first-ever Capital One Digital For Good Summit in Toronto on June 18, bringing together more than 150 of the country’s foremost charity leaders and digital experts. Leaders from technology companies like Microsoft and Facebook, as well as like-minded peers and experts shared knowledge in an effort to help non-profit organizations understand the tools available to help advance their digital journeys. 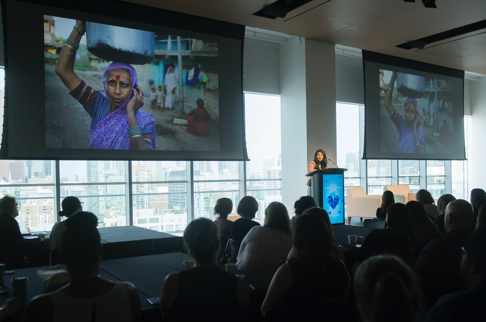 Shiza Shahid, founder of mission-driven funding platform NOW Ventures and co-founder of the Malala Fund, gave an inspirational keynote address to kick off the summit. Shahid shared impactful memories from her childhood and her own entrepreneurial journey and she discussed how initiatives like the summit make a powerful impact on society. The Digital For Good Summit is a pre-cursor for Capital One Canada’s third annual Gift the Code™ Hackathon slated to take place this fall. The two-day hackathon brings together top emerging developers, designers and UI/UX artists to solve a variety of tech problems faced by Canadian charities and not-for-profits. An online survey of 500 Canadians working in either the charitable or not-for-profit sector was completed between March 21 to 28, 2018, using Leger’s online panel, LegerWeb. A probability sample of the same size would yield a margin of error of +/-4.4%, 19 times out of 20, of the overall Canadian population working within these industries. With offices in Toronto, Kitchener-Waterloo and Montreal, Capital One Canada has been offering Canadian consumers a range of competitive Mastercard credit cards since 1996. We challenge ourselves to see the world through the eyes of our customers, so we can deliver the market-leading credit products and exceptional service they're looking for. Capital One Canada is a division of Capital One Bank, a subsidiary of Capital One Financial Corporation of McLean, Virginia (NYSE: COF). Visit www.capitalone.ca to learn more and follow us on social @CapitalOneCA.